GVKD-H Features: -Hook. -Double hook. -Hummingbird knock-down crane. -Color: Green. Product Type: -Hanging Hooks. Dimensions: Overall Height - Top to Bottom: -90". Overall Width - Side to Side: -12". Overall Depth - Front to Back: -0.63". Overall Product Weight: -10.3 lbs. 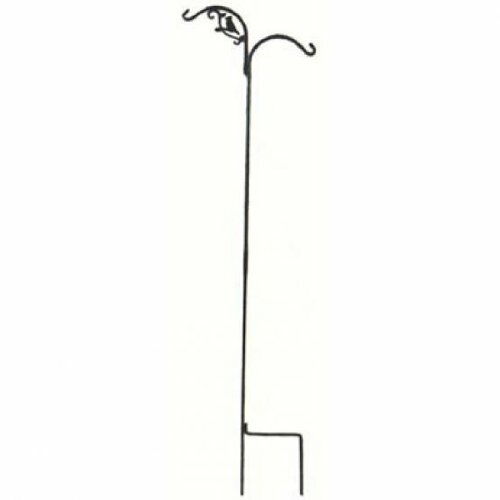 Shepherd hook is 90 inches in height with a 1/2 inch solid square steel. It has 2 hooks and a hummingbird pattern and green vein. If you have any questions about this product by Akerue Industries, contact us by completing and submitting the form below. If you are looking for a specif part number, please include it with your message.